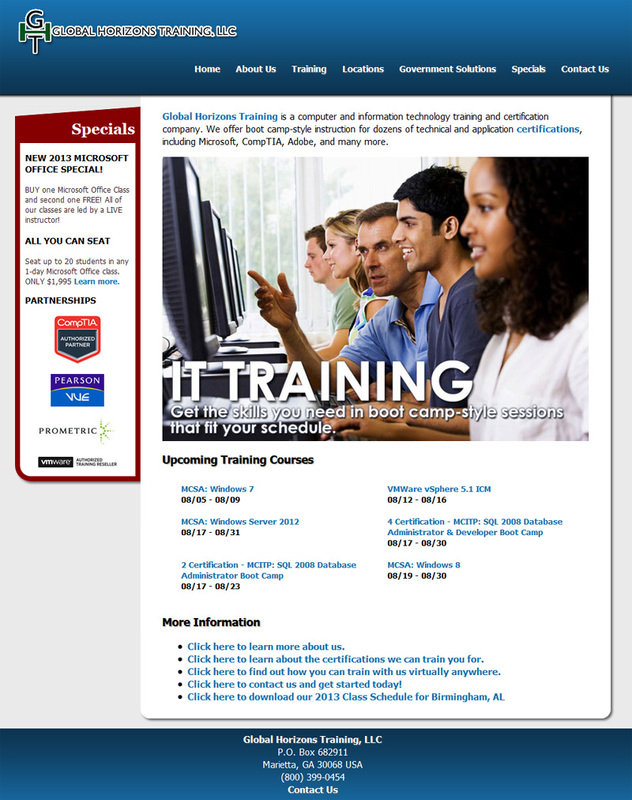 In October of 2012 I launched a redesign of Global Horizons Training, LLC’s website, http://globalhorizonstraining.com. This redesign involved creating a more streamlined, visually appealing design and integrating two new content management systems. One of these content management systems was used out-of-the-box for managing general site text; the other was a custom solution for managing information about the company’s IT courses. One of the most important goals of this project was making it simple for site visitors to understand what Global Horizons Training does and find the information they need. 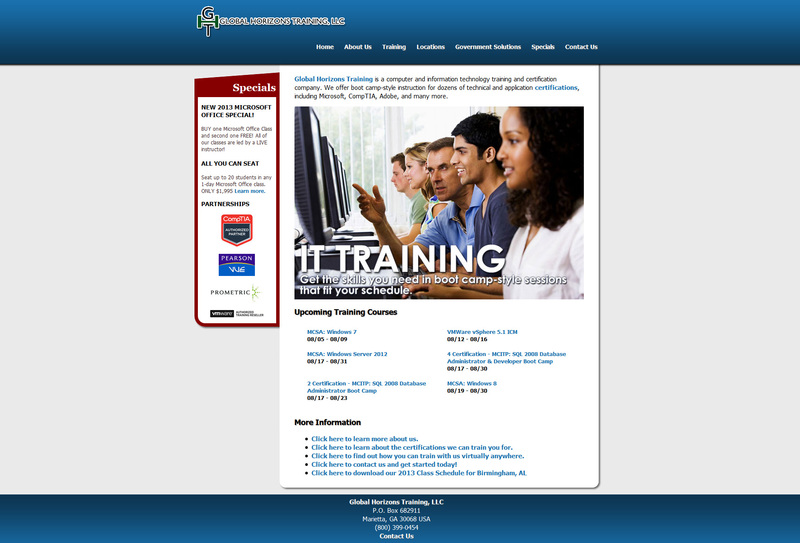 The client also wanted the ability to update website text on their own, as course offerings and specials frequently change. I worked with the client to determine the information that needed to be conveyed and how best to convey it. After wireframing the site on paper, I created the overall design in HTML and CSS. I then integrated this design into the out-of-the-box CMS and ported all general site copy into that CMS. This work included some rewriting and editing. I subcontracted a programmer to create the second, custom content management system for the company’s IT course offerings. I laid out what this part of the site should do and how it should be structured, and the programmer built the CMS to my specifications. Then I entered the course information into the new database. The final step was providing documentation and on-site training on the new site to the client.